When we look at Buffett’s company, Berkshire Hathaway Inc. (NYSE:BRK.B), though, is it an “outstanding business” that investors can consider holding forever? I think so, and following are 11 reasons I believe Berkshire is built to succeed for years — and decades — to come. There are companies that talk about succession plans and there are companies that make succession plans. Berkshire is a company that has made succession plans. We’ve seen the company add investors Todd Combs and Ted Weschler into the mix, and Buffett has assured investors that there is an unnamed but ready-to-step-in operational replacement for the Oracle. In recent years, Berkshire has bought large, capital-intensive businesses — most notably BNSF Railway. What these businesses give Berkshire is a vehicle into which it can, year after year after year, deploy large chunks of capital and earn reasonable returns. If there’s one thing that people think of Warren Buffett as, it’s a great investor. But he’s also a very conservative investor — particularly when it comes to Berkshire’s portfolio. Berkshire’s “big four” stocks — Wells Fargo & Co (NYSE:WFC), The Coca-Cola Company (NYSE:KO), International Business Machines Corp. (NYSE:IBM), and American Express Company (NYSE:AXP) — are all companies that we could see solid returns from in the years ahead. But, more importantly, they’re all companies that we’re unlikely to see drastic underperformance from. There’s no doubt about it — Warren Buffett is important to Berkshire Hathaway. However, Buffett is not important when it comes to the day-to-day operations of the many companies that Berkshire owns. Why? Because the company was set up so that those companies run very much as independent entities. This ensures that many of the day-to-day operations of the Berkshire empire won’t be knocked off course if there’s a change in the CEO suite. 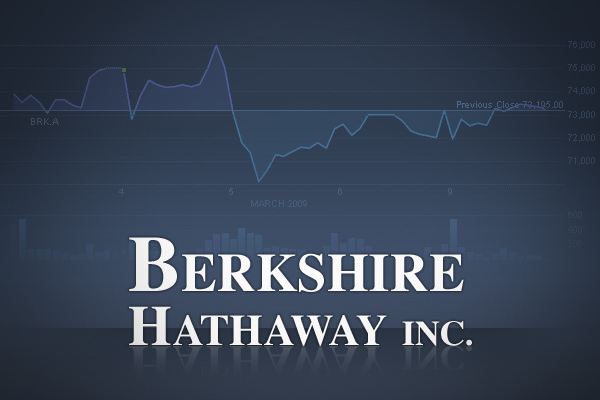 Berkshire Hathaway Inc. (NYSE:BRK.B) has found much of its success through investing the float — that is, money held for policyholders — of its insurance companies. As Buffett has reminded shareholders many times over, though, not all float is created equal. At Berkshire, the top-notch management teams at the insurance subsidiaries don’t just work to provide lots of float that Buffett, Combs, and Weschler can invest; they provide “high quality” float that pays Berkshire through profitable underwriting. The business model at Berkshire Hathaway Inc. (NYSE:BRK.B) is one of the most beautiful aspects of the company. At the core there are Berkshire’s high-quality insurance businesses — including the ubiquitous GEICO — that provide investable capital. At the same time, there is a small army of retail, manufacturing, and other wholly owned businesses that spit off free cash flow that can be invested or used to buy even more businesses. To be fair, if Berkshire started performing horribly at some future date after Warren Buffett had passed away, the Berkshire aura would likely start to dissipate. But up until that point, Berkshire will continue to carry that je ne sais quoi that allows the company to acquire companies and structure investments — like Bank of America Corp (NYSE:BAC) preferred stock and warrants — that most investors don’t have access to. What is Berkshire really? An investment company? An insurer? A retail conglomerate? It’s actually all of those things, and more. Investing in Berkshire Hathaway Inc. (NYSE:BRK.B) in many ways is similar to investing in a high-quality mutual fund that provides exposure to many different industries all at once.